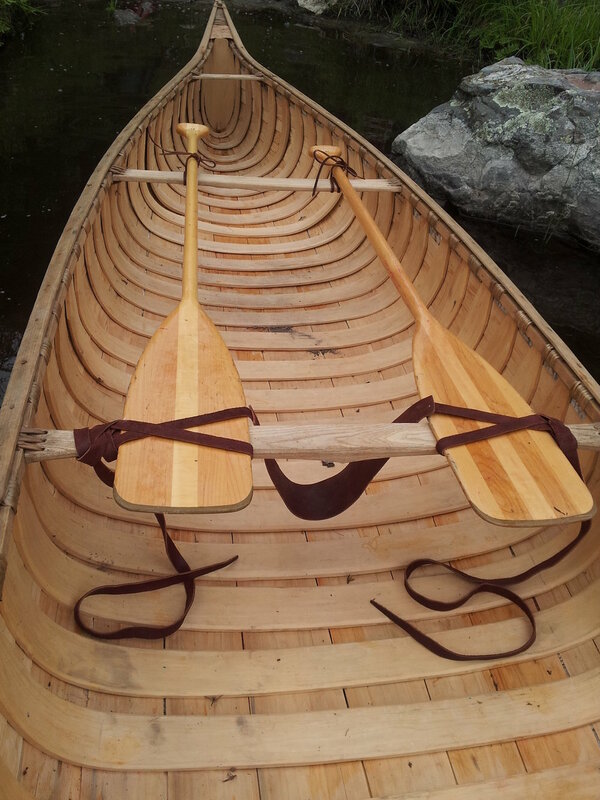 Experience a Boundary Waters canoe trip like none before! Learning the Traditional Ways of the Wilderness while traveling the BWCA in birch bark canoe is a one of a kind adventure & journey of discovery you don't want to miss! Have you ever wondered how people lived and traveled in the wilderness hundreds of years ago? We have too. That is why we set out years ago to learn how people survived and thrived in the unforgiving wilderness Northwest of Lake Superior. It has been such an amazing journey that we have decide to share it with you! Traversing the BWCA Wilderness with traditional birch bark canoes, using traditional knowledge and skills more akin to the fur trade era than modern wilderness tripping, is an experience of a lifetime! Whether you are an experienced wilderness traveler, a bushcrafter, or a hand craft enthusiast these trips tie it all together in one unforgettable experience. It’s one thing to carve a paddle in a workshop far removed from the wilderness, it is quite another thing to carve it from a tree you just harvested from the woods, hew and carve it with simple forest tools surrounded by nature, and then set out with it on a voyage into a million acre Wilderness canoe area in a birch bark canoe! From primitive fire lighting, to fishing and wild harvesting we are taking the best parts of our favorite past times and putting them together for a multidisciplinary approach to wilderness recreation. There is hands on craft, natural history, ethnobotany, camping, wilderness adventure, serious fishing (in its modern form sorry nets and spears aren’t allowed 99% of the time), and just good plain old fun! There is also, cultural interpretation through the active use of traditional material goods, and we visit cultural sites whenever possible. We have always been of the belief that wilderness guides should know more than just how to traverse the wilderness safely and facilitate positive group function. A good Guide should also know the history of the land and its people, how the land works, what makes it unique, and be able tell its story through the signs it leaves in tree scars, rocks, wildlife signs, natural disturbances and vegetation matrixes. We teach people how to read and interpret the land at every opportunity. Our handcraft and bushcraft activities teach people not just the names of the plants, but how they were used traditionally, why they are important to the ecosystem, and how wildlife relates to them. Good Guides know where to catch a few walleye too! (see fishing gallery here) These are some of the standards we hold ourselves too, we work hard at being more than just competent, friendly, wilderness travelers, we have work hard at providing you with the whole package! We have made traditional wilderness living skills and learning all there is to know about the Wilderness ecosystem our business because we love it, we live it, and we want to share it with You! While all of our trips offer a unique blend of Adventure, Traditional Skills, and Hand-Craft we realize that everyone is different and we do everything we can to make sure that you get the unique experience that you are looking for. We do that by offering a number of different trips that emphasize different subjects to varying degrees, as well as, offering custom wilderness trips and hands on experiences at our forested homestead just outside the BWCA in the heart of the forest. Not all our activities are compatible with LNT (Leave No Trace) wilderness ethics, thus our trips take place across a mix of public lands, Wilderness, and private lands. Strict bushcraft courses take place outside of the BWCA. Visit our trip options page here (link) or contact us to plan a custom trip or course. Owner-Guide Lindy has spent most of his adult life learning the traditional ways of living and traveling in the wilderness of North America. 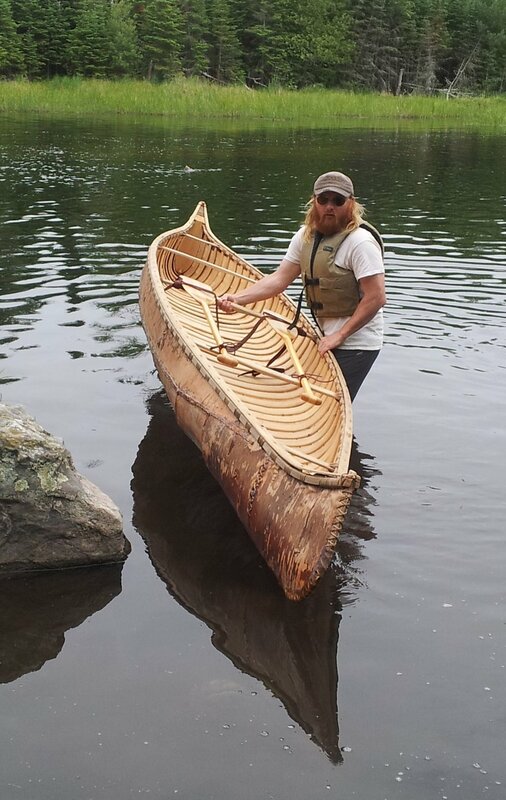 Boundary Waters Bushcraft & Wilderness Adventures is the result of many years of applying traditional wilderness living skills and hand made gear in pursuit of adventure and connection to the land in out of the way places. Lindy and his partner Ashlee/co guide live at the interior of a 7 mile long island just south of the Boundary Waters Canoe Area Wilderness (BWCA). Canoeing, fishing, hunting, traditional craft and bushcrafting are a necessity to maintaining their wilderness way of life.